The Mendenhall Glacier is a 12-mile-long glacier in the Mendenhall Valley, located only 12 miles from downtown Juneau in Southeast Alaska. The Ice Caves are inside the glacier, accessible only to those willing to kayak to, and then ice climb over the glacier. However, the glacier is retreating increasingly fast as global warming heats the oceans and temperatures rise. 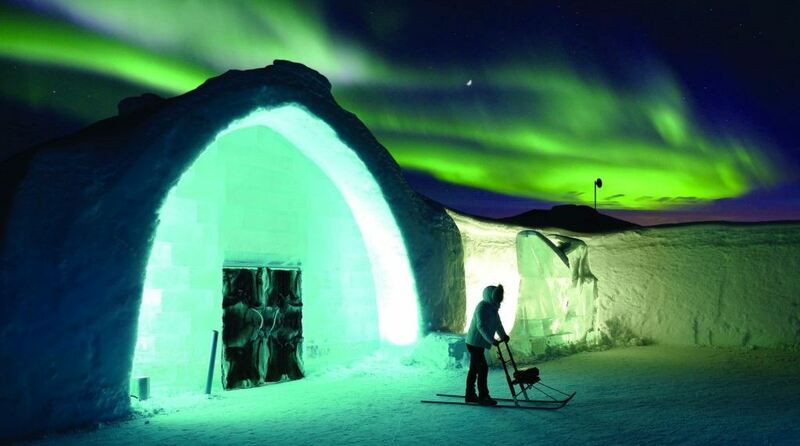 The Icehotel in the village of Jukkasjärvi, about 17 km from Kiruna, Sweden, was the world’s first ice hotel. The entire hotel is made out of snow and ice blocks taken from the Torne River; even the glasses in the bar are made of ice. Each spring, around March, Icehotel harvests tons of ice from the frozen Torne River and stores it in a nearby production hall with room for over 100,000 tons of ice and 30,000 tons of snow. The ice is used for creating Icebar designs and ice glasses, for ice sculpting classes, events and product launches all over the world while the snow is used for building a strong structure for the building. About 1,000 tons of what is left is used in the construction of the next Ice Hotel. 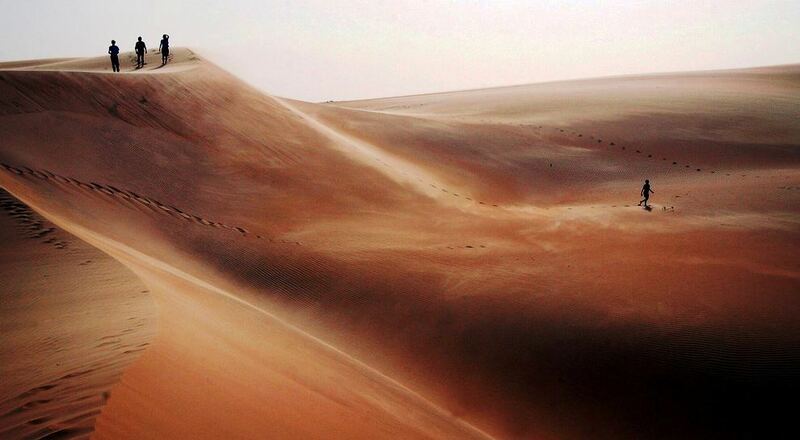 Tourists explore sand dunes in the Mauritanian desert near the capital Nouakchott. Sand is probably the first thing that comes to mind when thinking about beach. However, this is not the case with the Panjin Red Beach in China, which is, actually, red, and not covered in sand at all. Such phenomena is caused by a type of sea weed Sueda. It starts growing during April and May, then stays green during the summer, but starts turning vividly red in autumn. The Red Beach is located in the biggest wetland and reed marsh in the world, and actually hosts the most completed ecosystem that can be found: the area has become home to more than 260 kinds of birds and 399 kinds of wild animals. You can find the endangered Crown Cranes and Black Beaked Gulls there, which is why the area is even called “home of the cranes”. In order to keep the whole ecosystem safe, the area was granted state-level protection back in 1988. Even though most of the Red Beach is closed to the public, there still is a small section that’s open for tourists. We can assure you that the photos below are not an example of infrared photography, it’s just one of those places that are hard to believe really exist! Fly Geyser is a man-made geyser in the middle of the Nevada Desert and is considered one of the most beautiful attractions in Nevada. Located 20 miles north of Gerlach, in Washoe County (the Nevada desert), it was accidentally created in 1916 during well drilling. 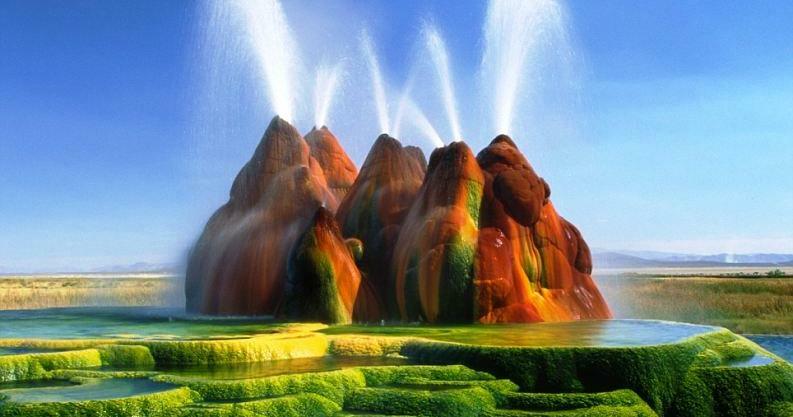 The rainbow effect is created by minerals in the water reacting with oxygen in the air. The geyser contains several terraces discharging water into 30 to 40 pools over an area of 30 hectares (74 acres). Fly Geyser is located on private land, behind a closed gate and a fence topped with barbed wire. It is rarely open to the public but can be viewed from the road. A geyser is a rare kind of hot spring that is under pressure and erupts, sending jets of water and steam into the air. Roughly two-thirds of the world’s geysers are in Yellowstone National Park in the United States. 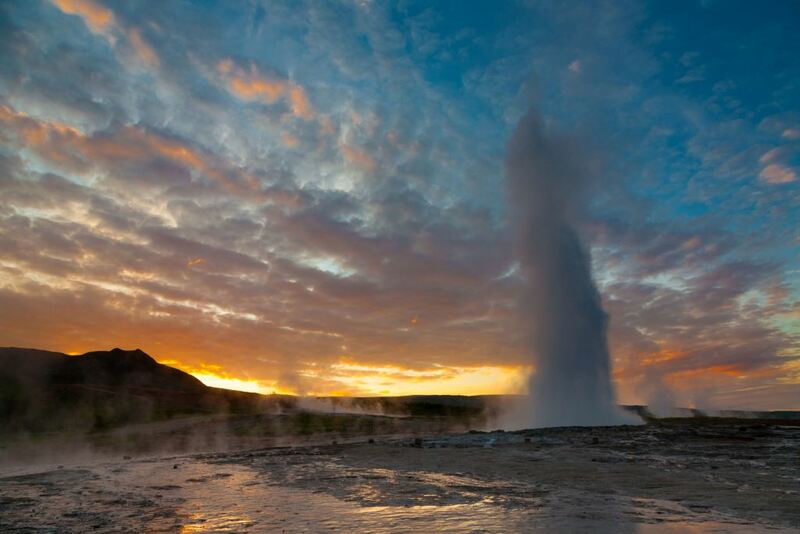 Other geyser hot spots are Siberia, Chile, Iceland and New Zealand. The large area, clear skies, and the exceptional flatness of the surface make the Salar an ideal object for calibrating the altimeters of Earth observation satellites. 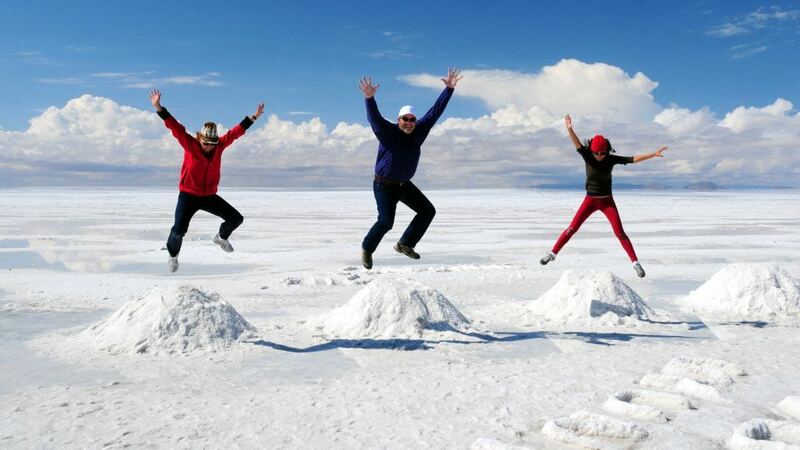 The Salar serves as the major transport route across the Bolivian Altiplano and is a major breeding ground for several species of pink flamingos.